NASHVILLE, TN (August 16, 2017) – Kacy & Clayton are set to return with The Siren’s Song via New West Records this Friday, August 18th, 2017. The 9-song set was produced by Wilco’s Jeff Tweedy and recorded by Tom Schick at Wilco’s The Loft in Chicago, IL. The Siren’s Song is the follow up to their acclaimed 2015 New West Records debut Strange Country, and for the first time incorporates full, electric band arrangements. Their sound is an arresting amalgamation of psychedelic folk, English folk revival and the ancestral music of Southern Appalachia. Now rounded out by Mike Silverman on drums and percussion & Shuyler Jansen on bass, The Siren’s Song encompasses their 60’s and 70’s Folk and Traditional Country influences, but also introduces a new emphasis on groove. A full stream of the album can be heard now exclusively at AllMusic, who notes that the duo “delivers endless melody and effortless cool.” Listen HERE. 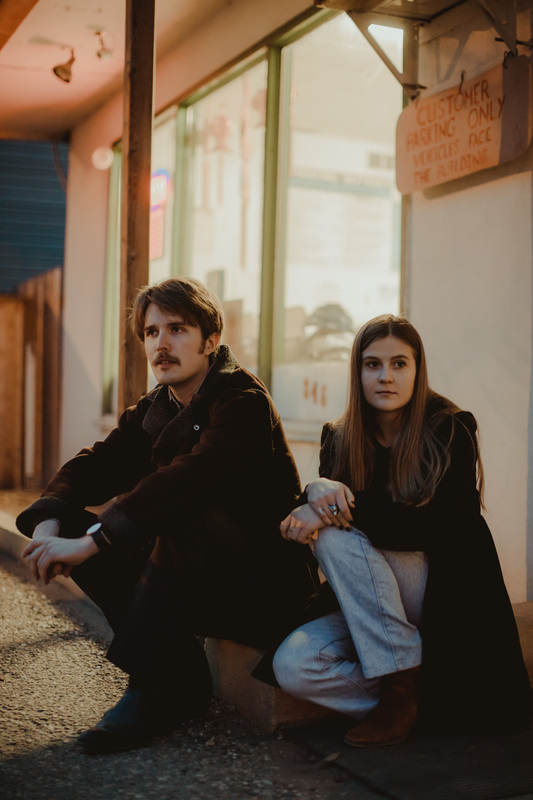 Previously, The Boot premiered the album track “This World Has Seven Wonders,” calling it “a perfect example of Kacy & Clayton’s mix of Appalachian sounds and psychedelic folk. The melody wouldn’t have sounded at all out of place among 1970s folk-pop hits, and Kacy Anderson’s vocals have a slightly wispy, light quality to them.” Read more HERE. The Siren’s Song will be available on vinyl, compact disc, digitally and can be pre-ordered now HERE. Kacy & Clayton are on tour now with more North American dates to be announced soon (please see below for full tour details). "...some of the freshest sounding folk/country rock that’s been heard in quite a long time." The Boston Globe – "Stuart Munro's Best Albums of 2017"
Southern Rhode Island Newspapers – "A Look Back At The Year's Top Recordings"
The Bluegrass Situation – "Mixtape: Kacy & Clayton's Traditional Folk Favorites"
Exclaim! – "Kacy & Clayton Discuss Economy in Songwriting and Lessons Learned from Wilco for 'The Siren's Song'"
The Boot – "Kacy & Clayton Discuss Their Influences, The Siren's Song LP"
Vue Weekly – "Yearning For Sounds of the Past"
Tidal – "Soundtrack To My Life: Kacy & Clayton"
Beatroute – "Kacy & Clayton: From Saskatoon to Chicago"
Saskatoon Star-Phoenix – "Kacy & Clayton Continue To Hypnotize With New Album"
The Georgia Straight – "Kacy & Clayton Still Humble Despite Wowing Famous Fans"